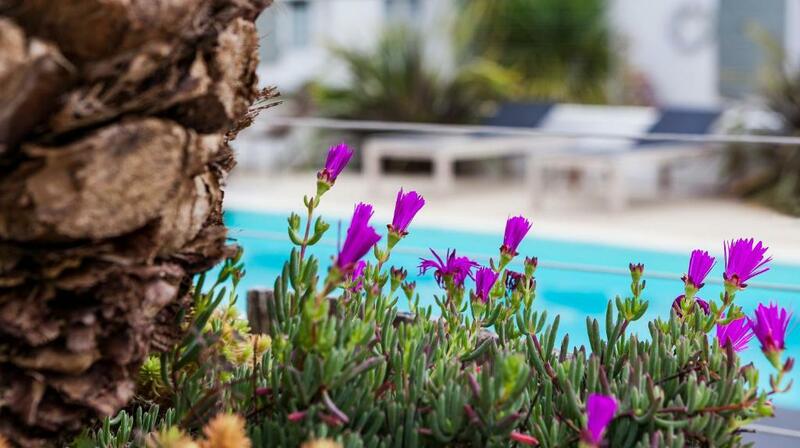 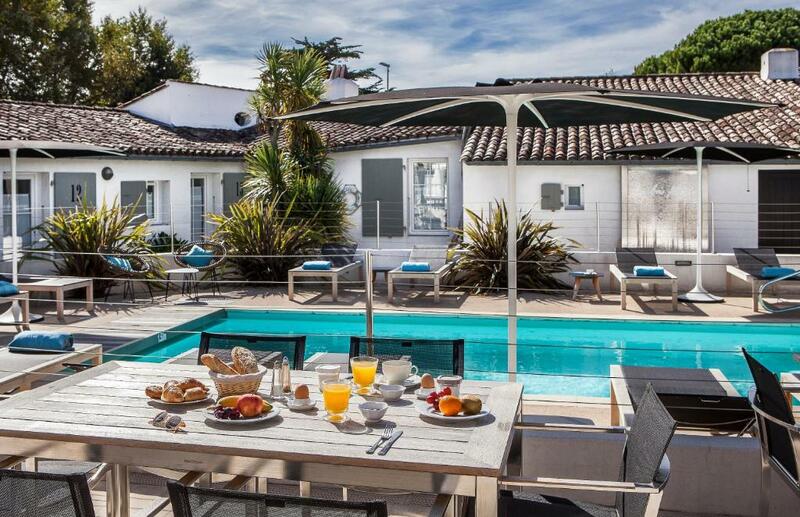 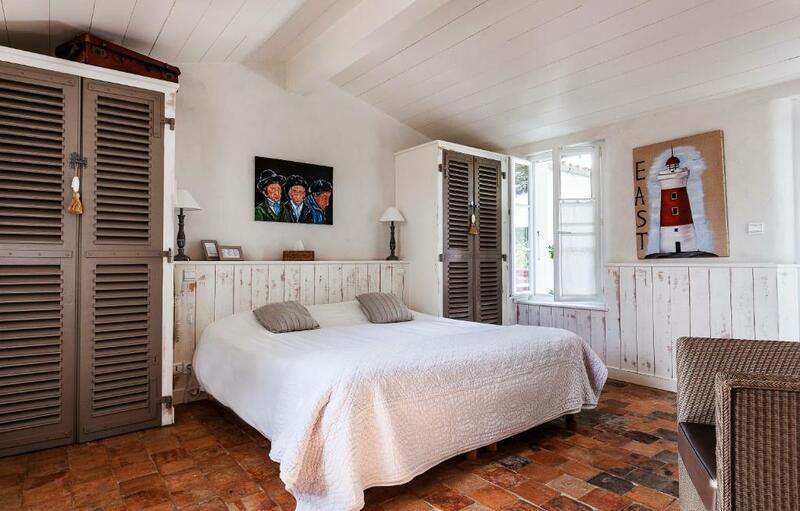 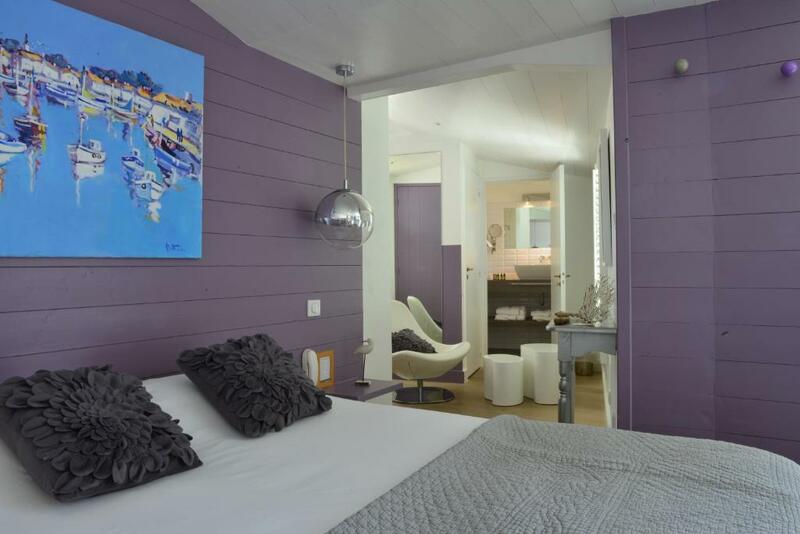 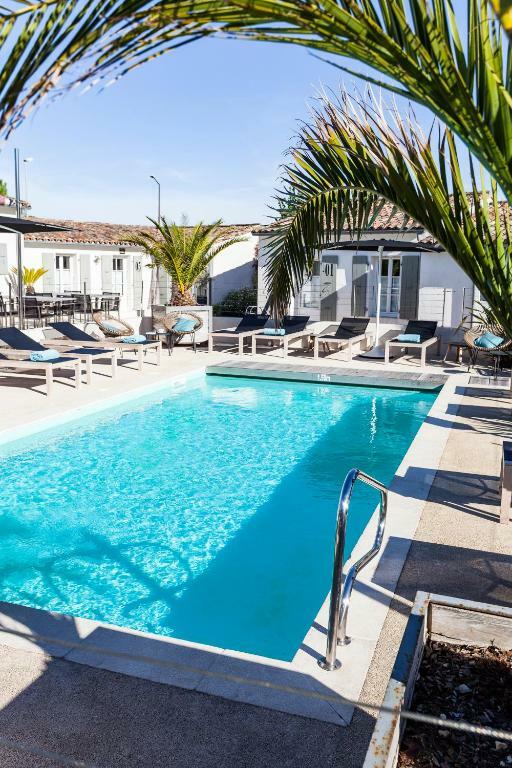 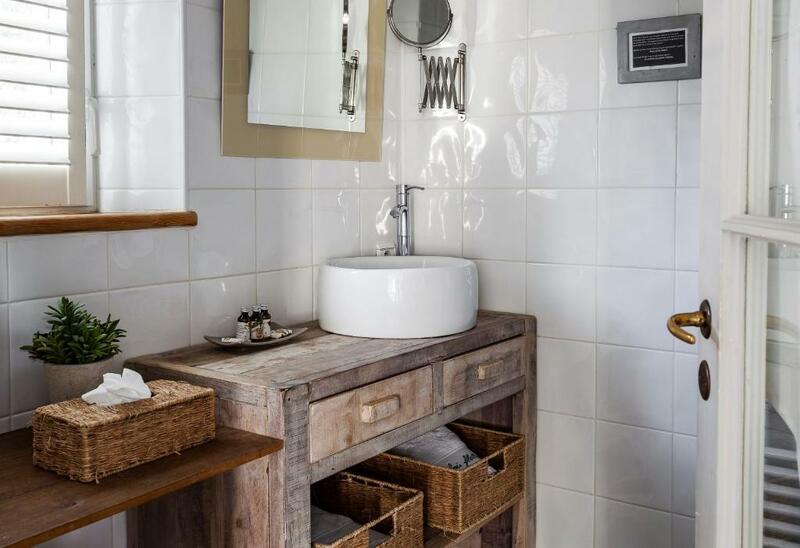 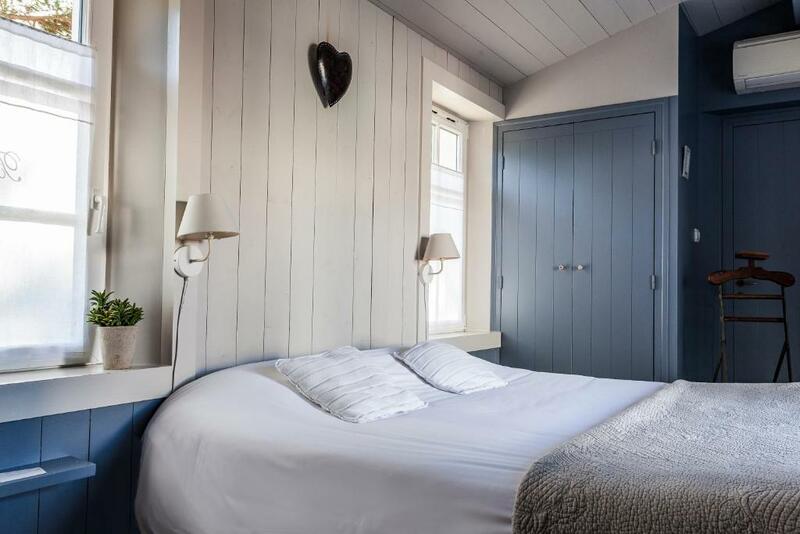 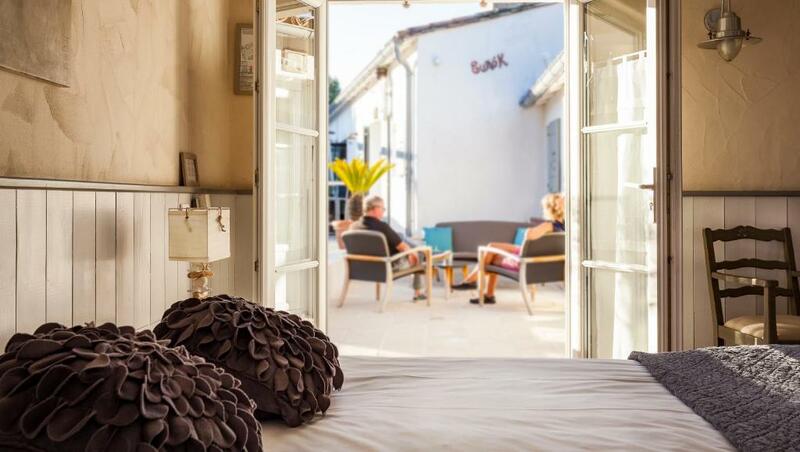 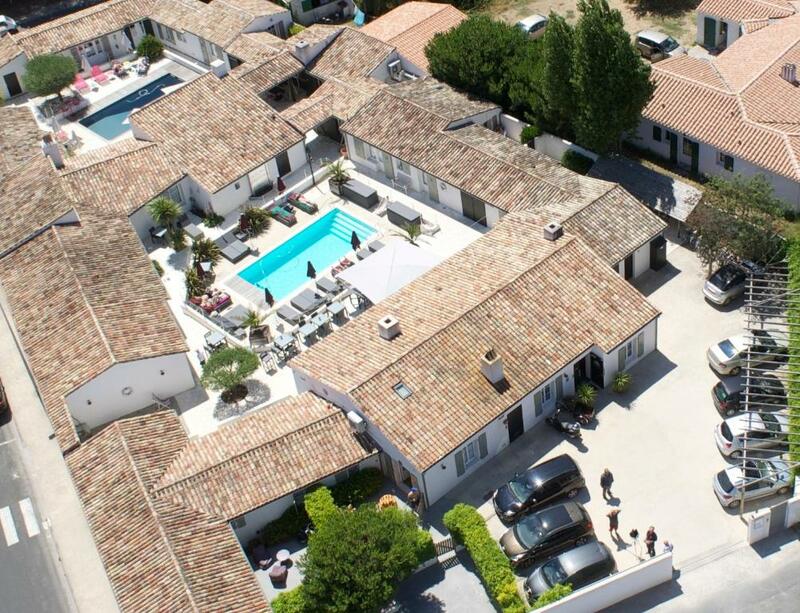 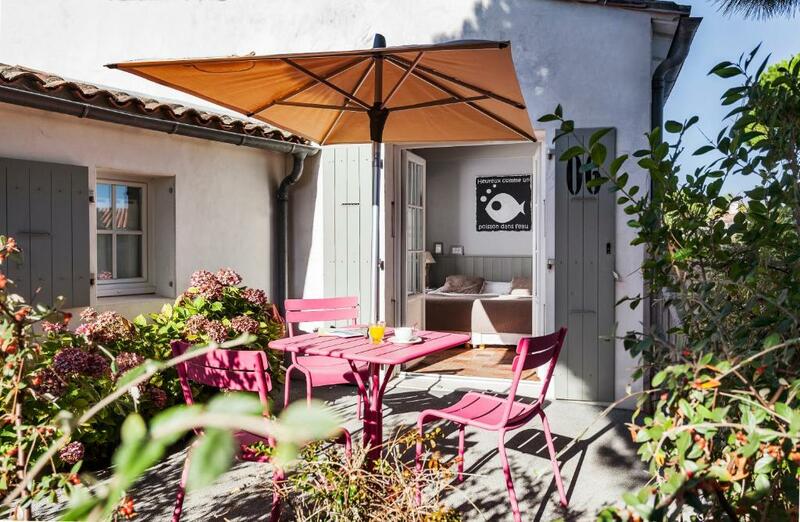 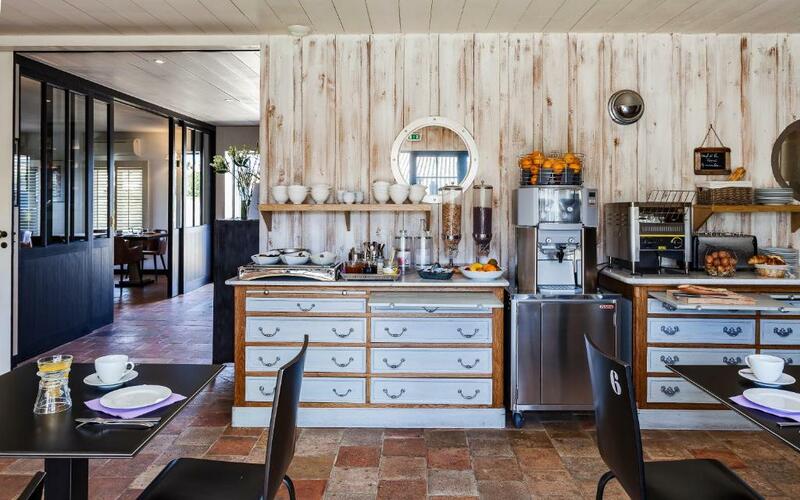 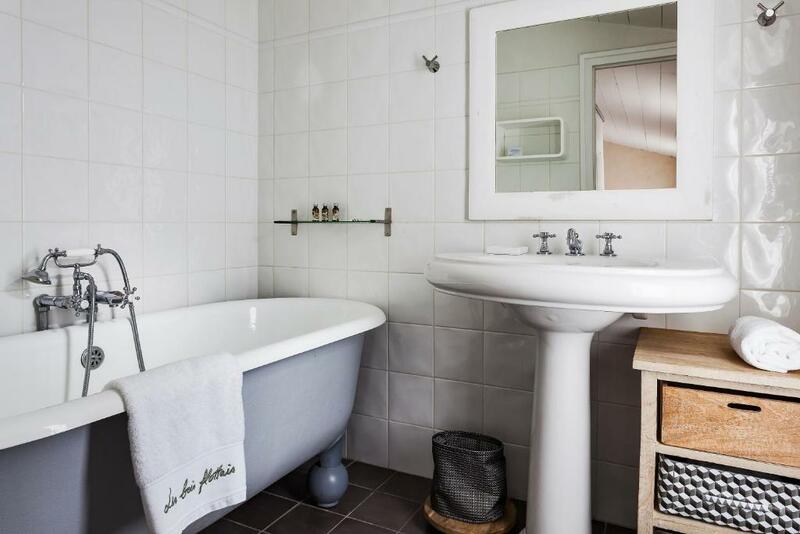 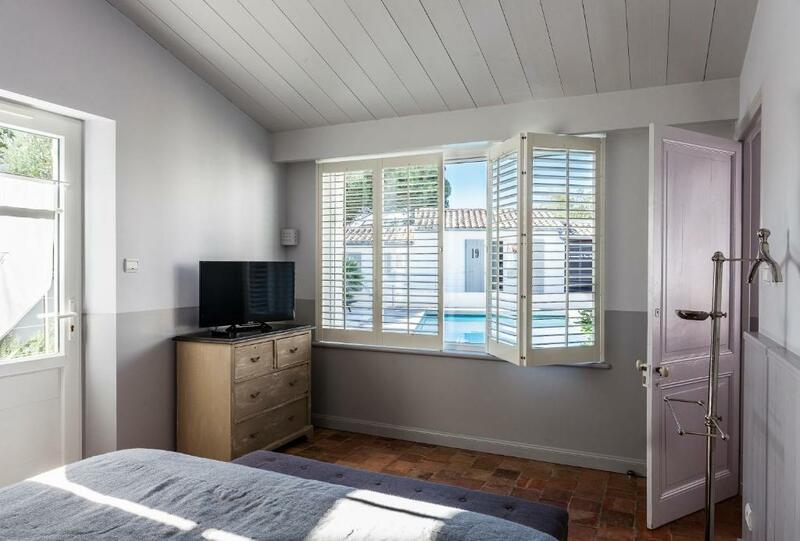 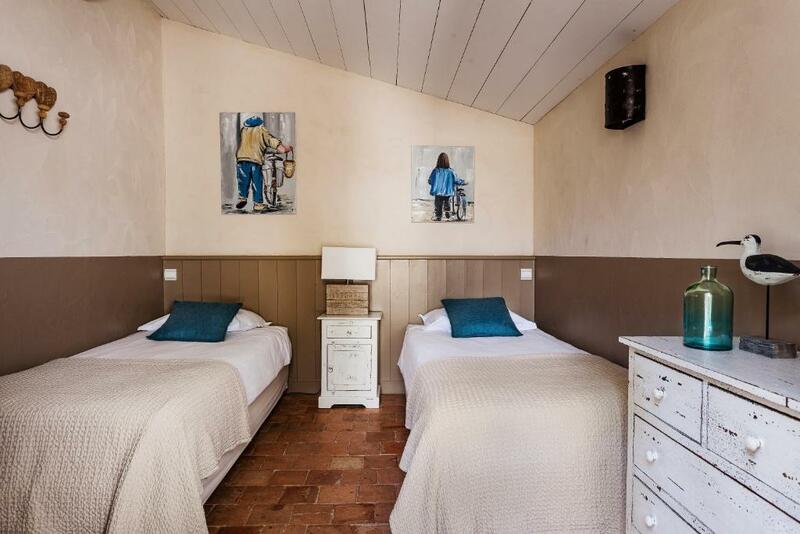 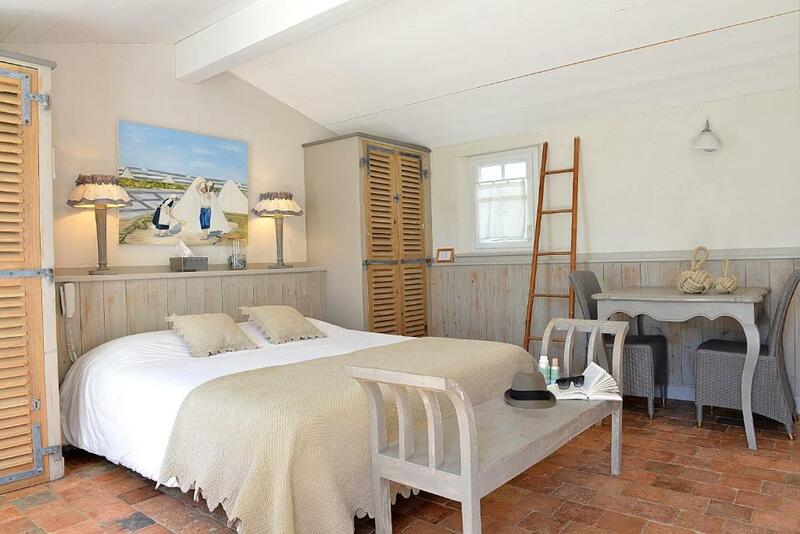 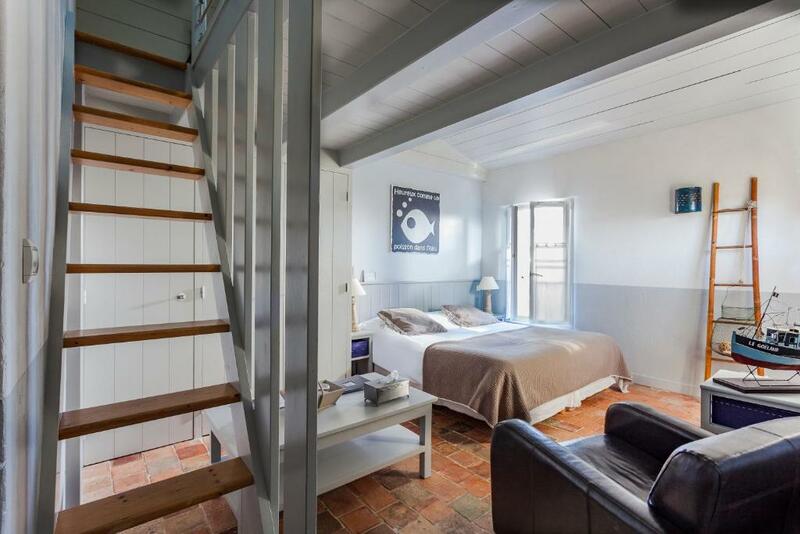 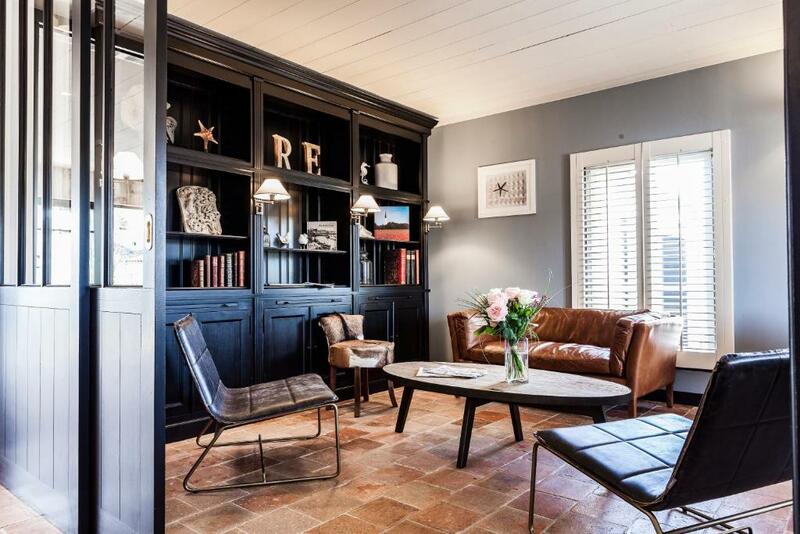 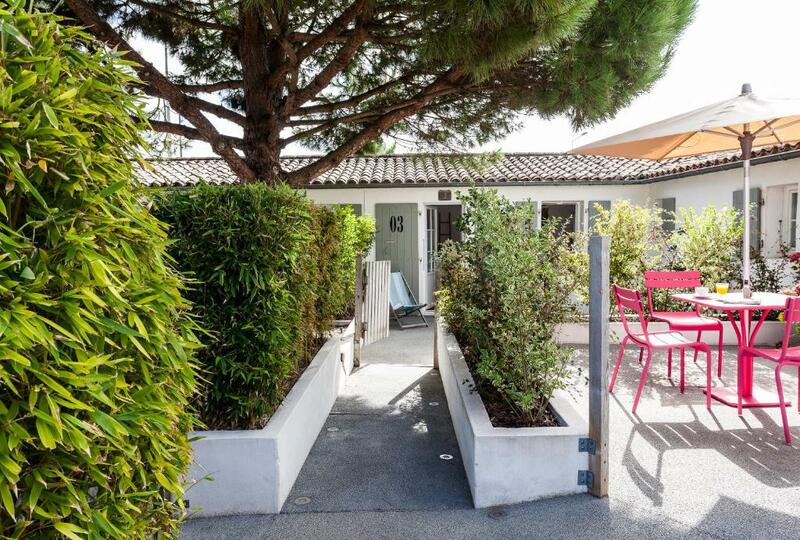 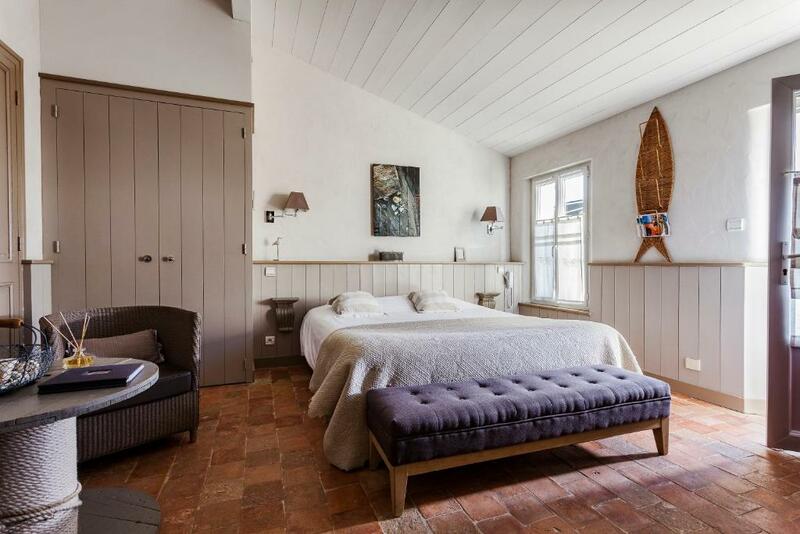 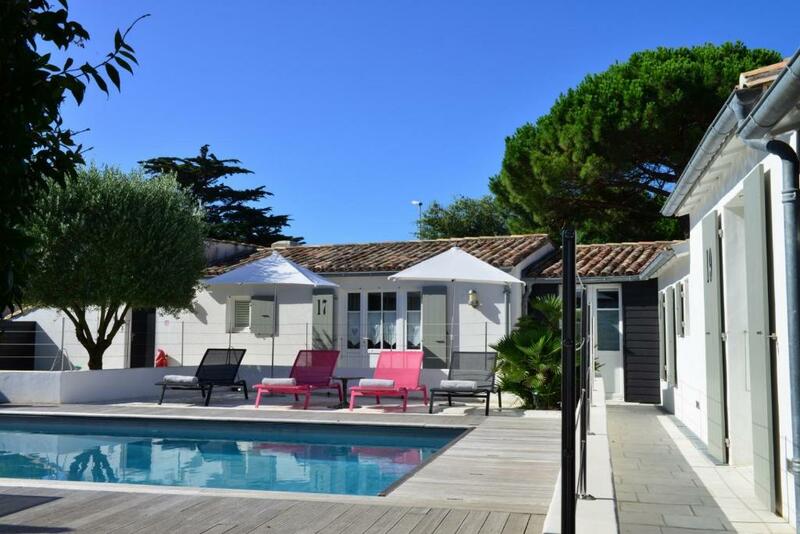 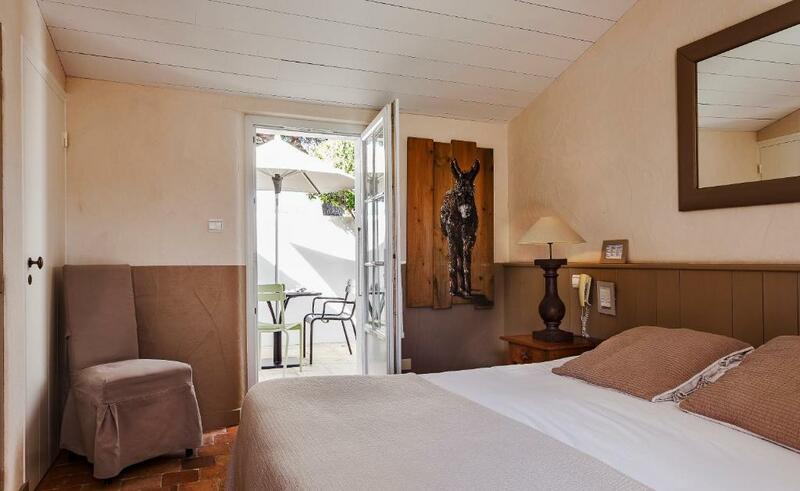 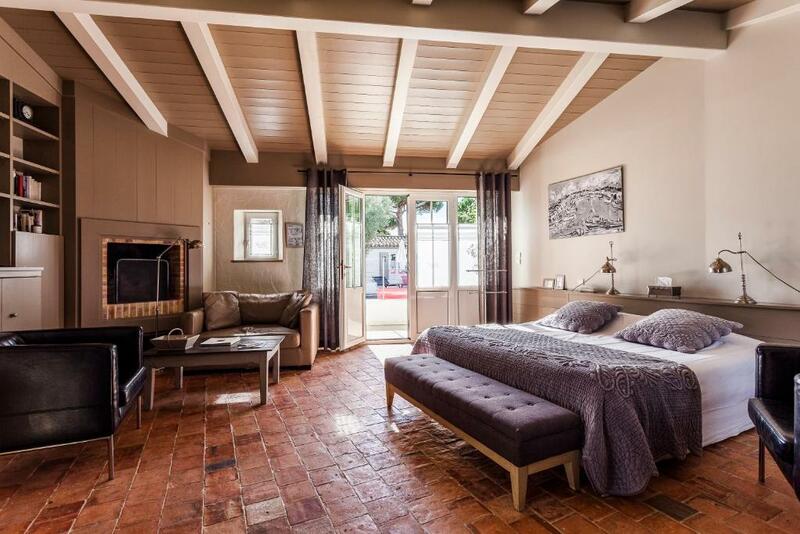 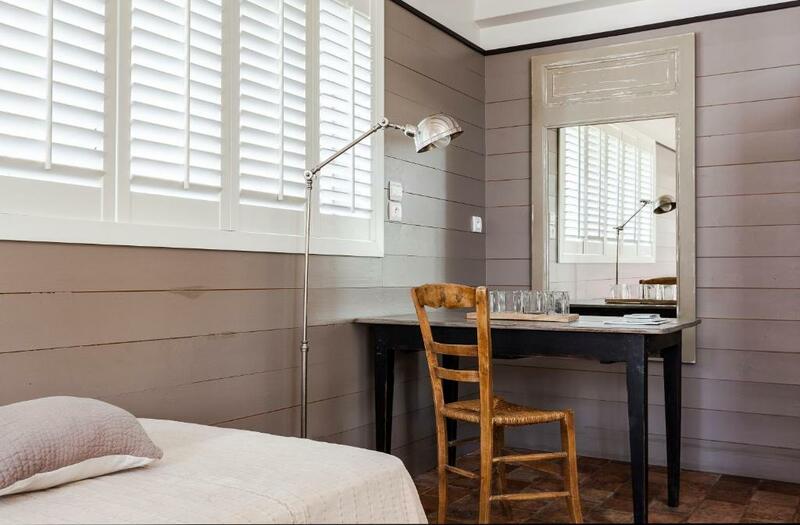 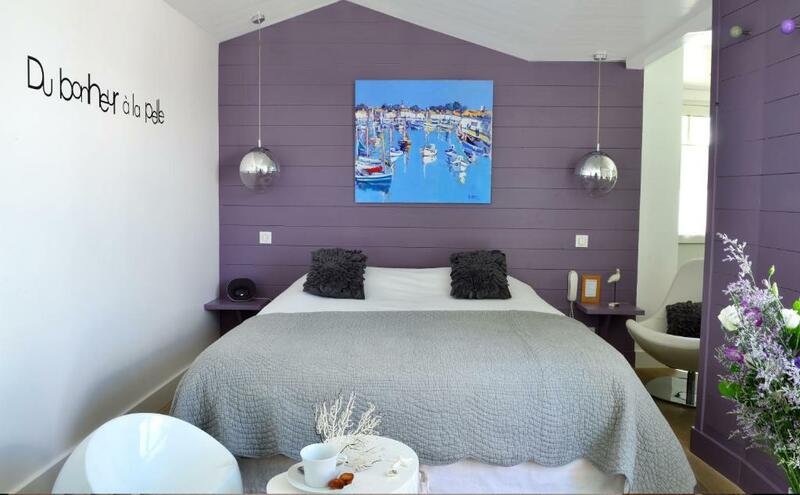 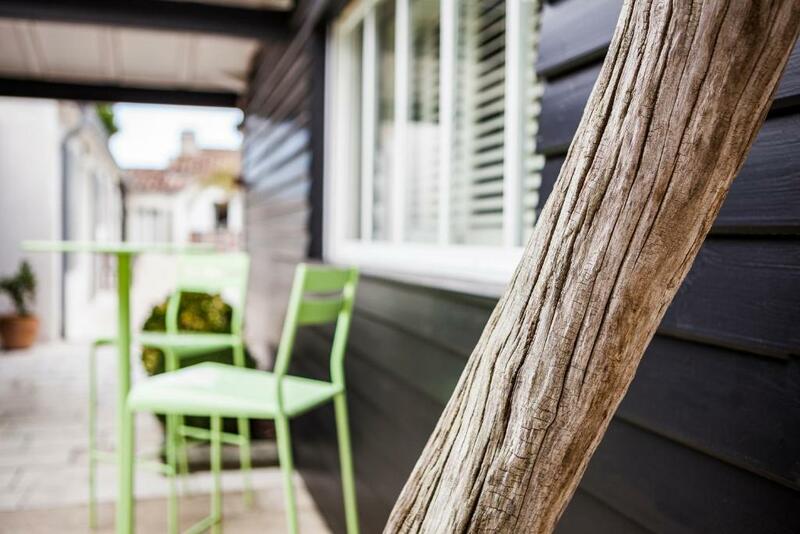 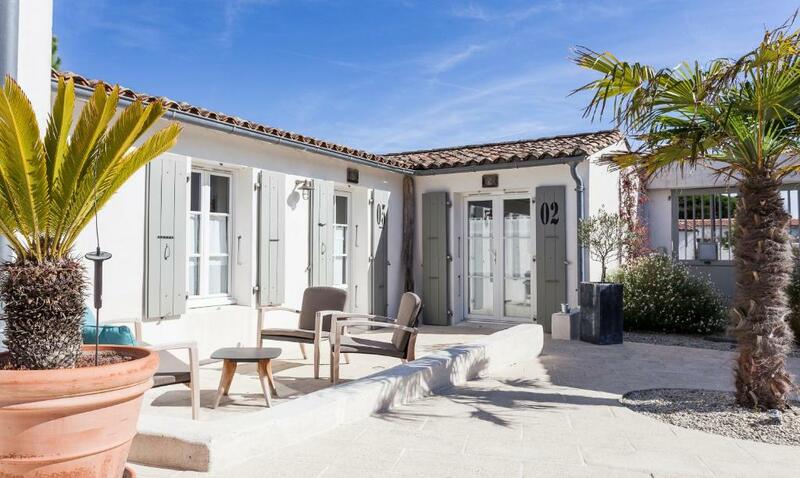 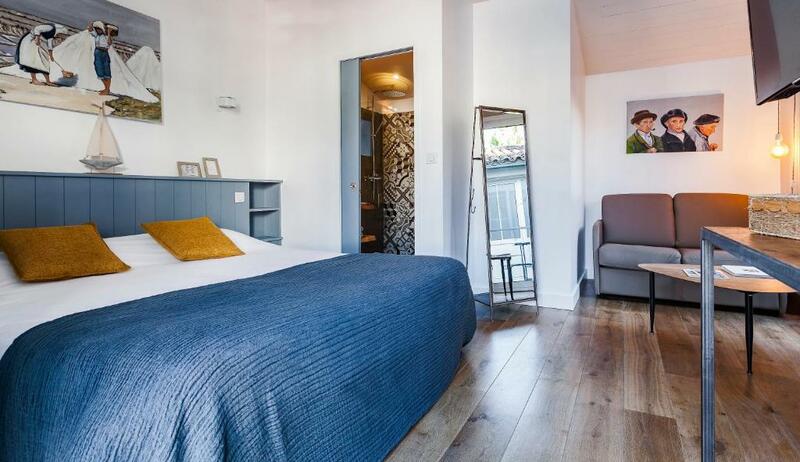 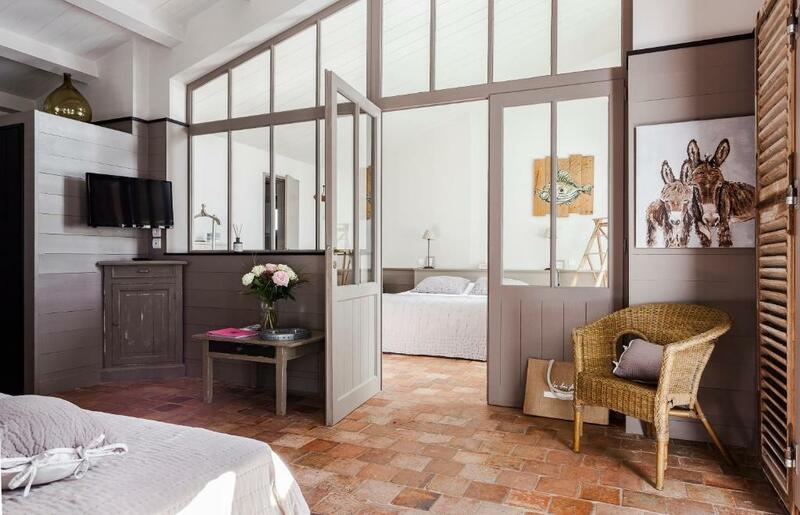 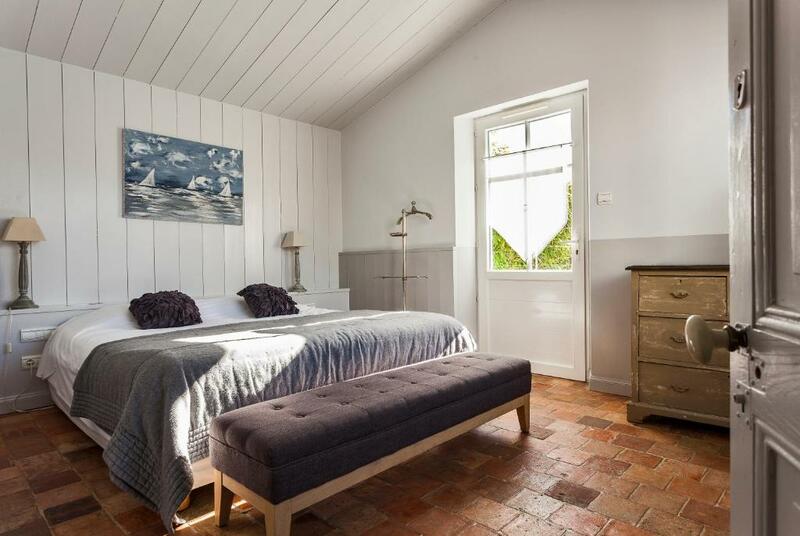 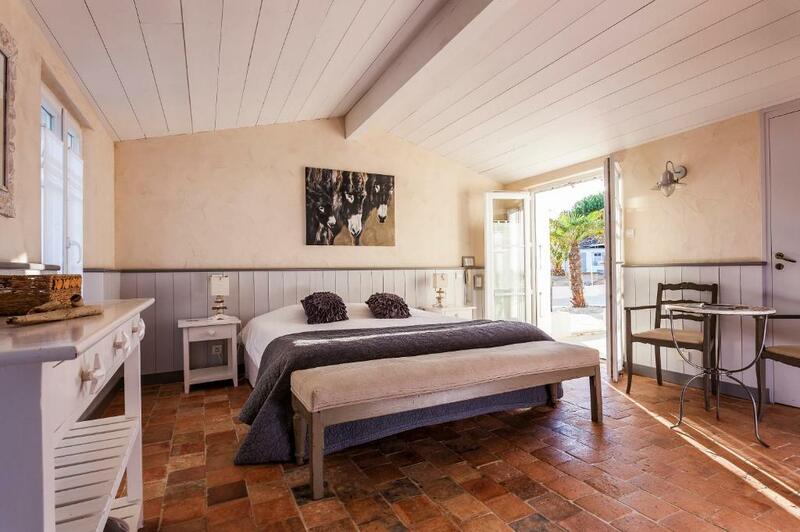 This hotel is located halfway between the beach and the village of Le Bois-Plage-en-Ré. 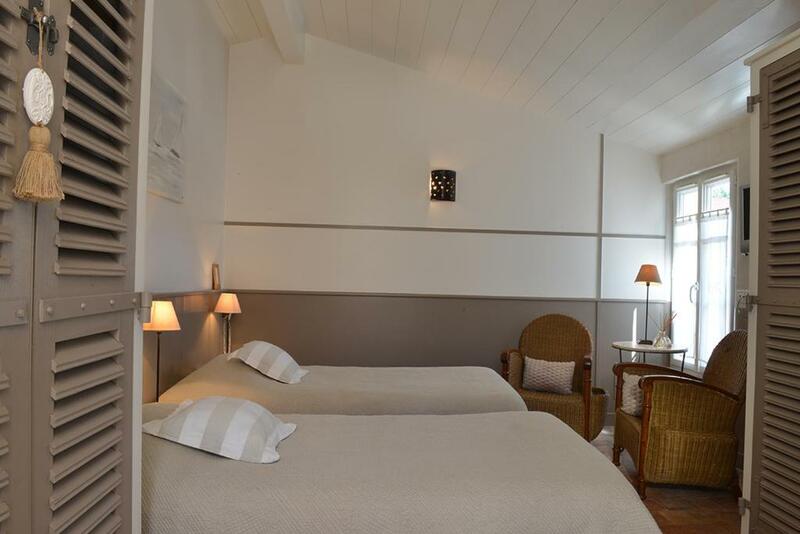 It offers 2 heated swimming pools, a hammam, massage treatments and à la carte fitness programs. 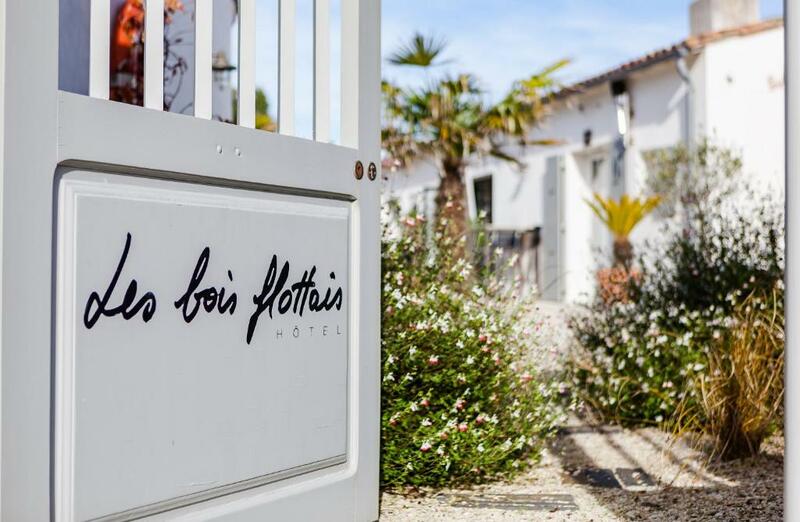 The air-conditioned guest rooms at the Hotel Les Bois Flottais are distributed around the outdoor swimming pool and are individually decorated. 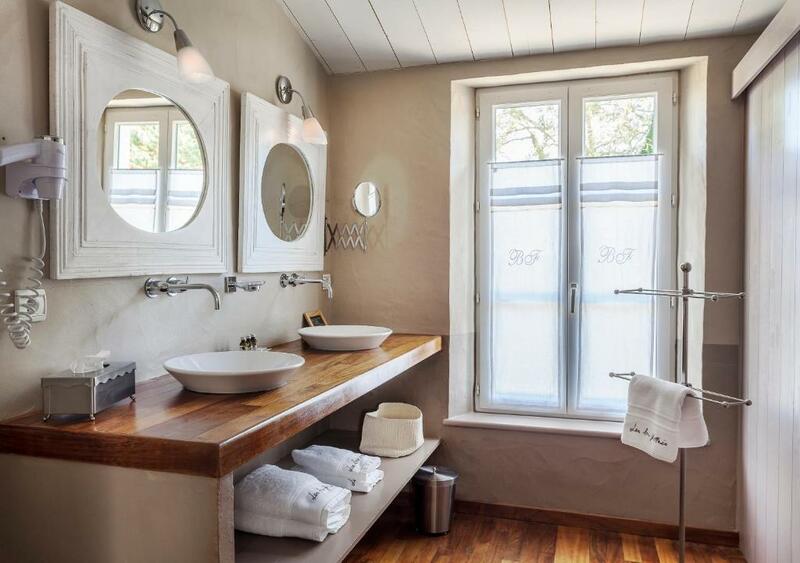 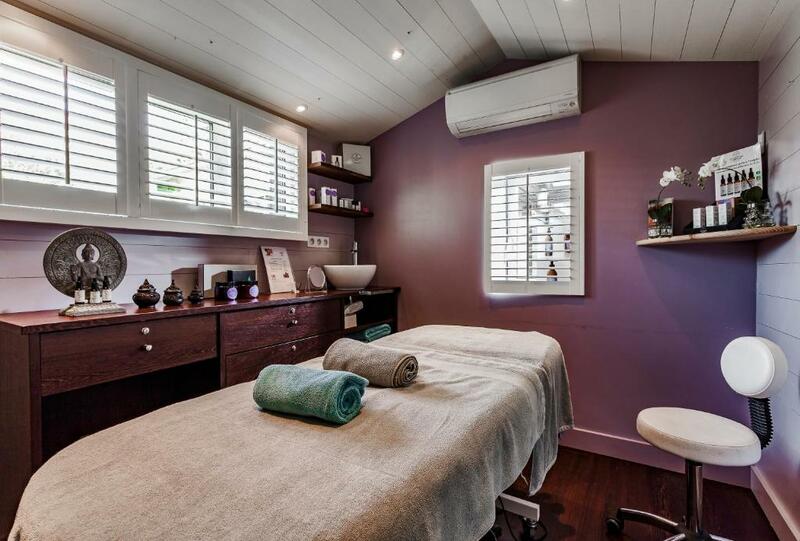 They all have private bathrooms with baths and showers, and bathrobes are also provided. 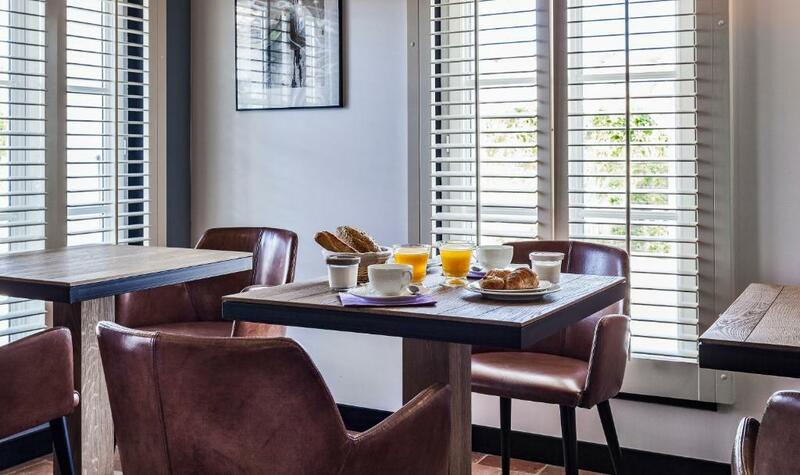 The hotel serves a daily homemade breakfast, which can be enjoyed in the dining room or on the outdoor terrace. 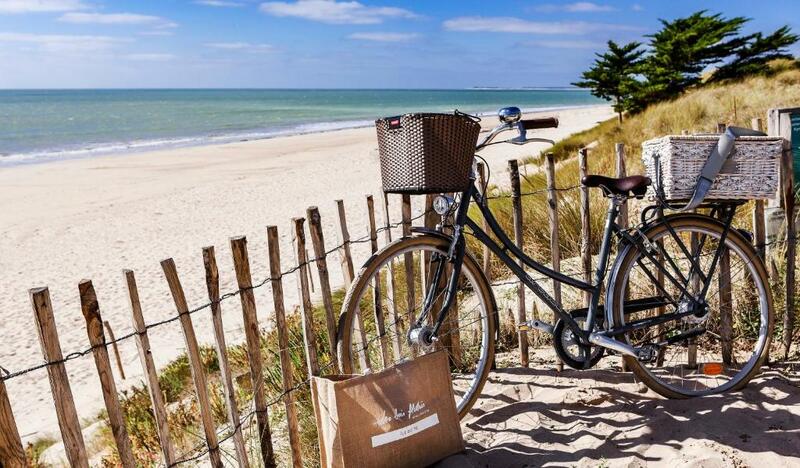 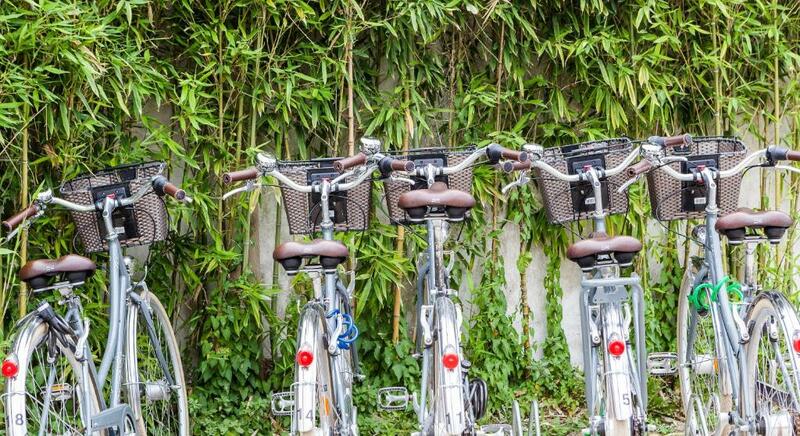 Additional services at Les Bois Flottais include a bike rental service, free WiFi access and free private parking.